Creating Super Web2.0 Blog properties for your business, products and services. These Web2.0 Blog Backlinks also help your website rank in search engine. After submission i will send you an excel file with all links or current status of submission, user name, and detailed report. 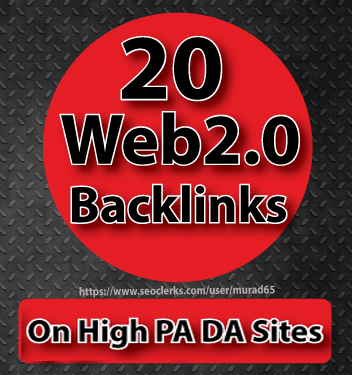 20 Web2.0 Backlinks On High PA DA Sites is ranked 5 out of 5. Based on 4 user reviews.